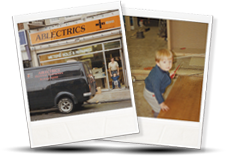 Electricsandlighting.co.uk | Buy lighting and electrics online, great choice and great discounts est 1974. Our next big sale is on Jan 27th. We are offering 15% off all our lighting and LED lights. We have also included all the RAKO wireless home automation. End of season lighting SALE. We offer a lighting design/consultancy service. We can visit your home or business and advise you on all aspects of your lighting.